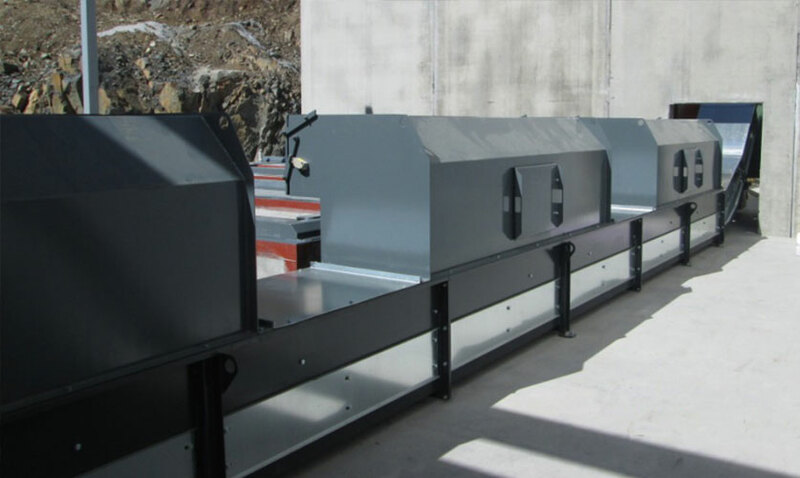 BINDER offers different types of transport systems like Transport auger (TS), direct hydraulic ram (QFE), and chain conveyors (KKF). 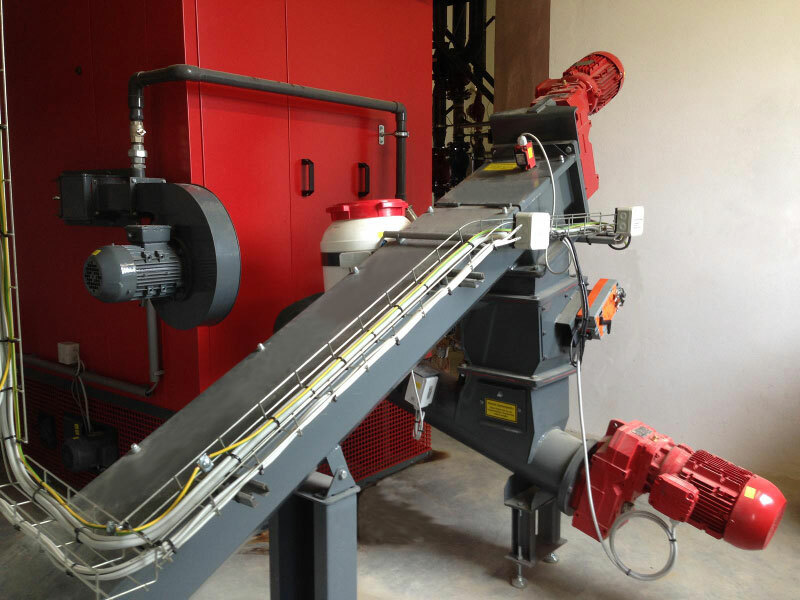 The transport auger is the part of the boiler that takes the fuel of a discharge unit and transports it towards the boiler. 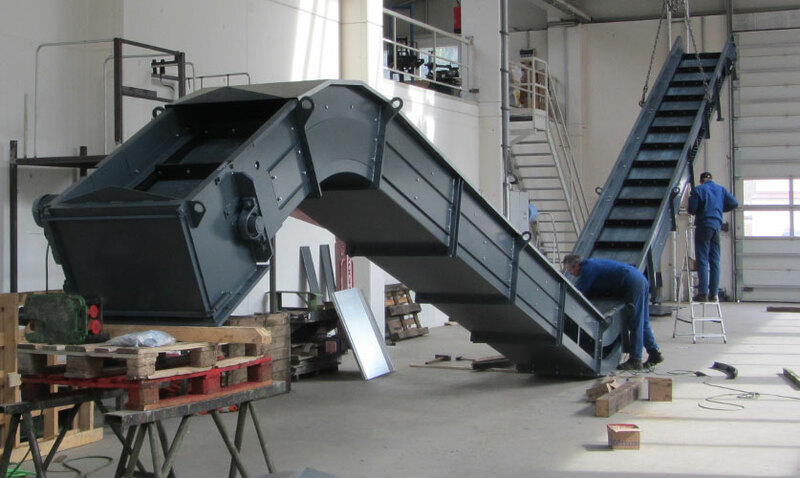 It consists of a screw conveyor, which is carried in a steel duct. At the end of the auger, the ejection opening, which ensures the transition to other transport units is located at the bottom. A clog detection sensor is placed over the ejection opening, which switches off the motor in the event of a blockage. The drive of the Auger is made with an gear engine and an angular gear. The steel auger duct is covered with screwed covers for easy access. The screw trough is fully welded to the steel shaft or the Steel sleeve shaft. BINDER offers Transport Augers in different variants. 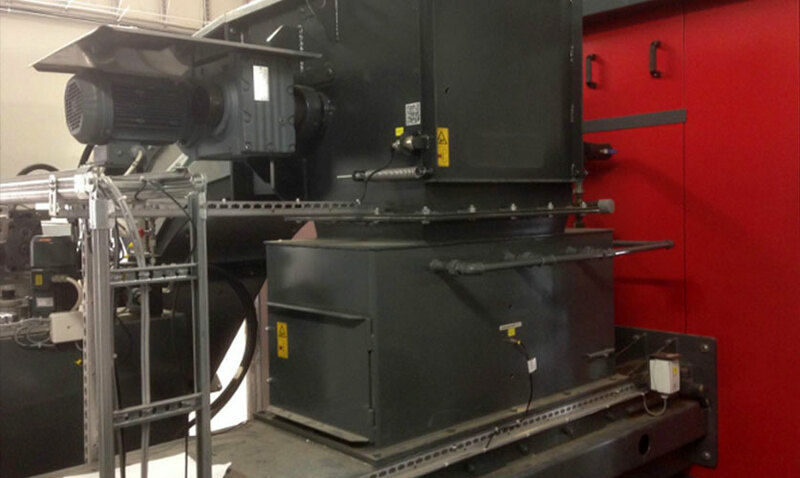 Usually the Direct Hydraulic Infeed is used to transport coarse material into the combustion chamber. The QFE is mostly used in combination with an walking floor. 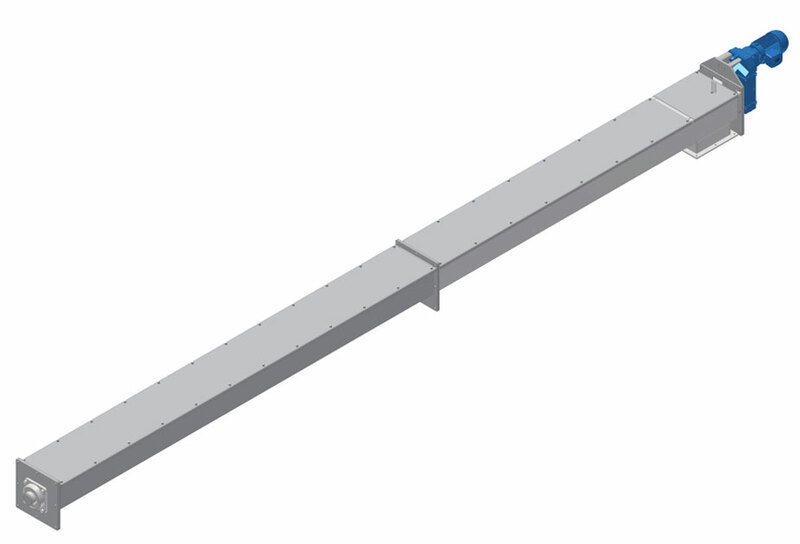 A level sensor constantly monitors the level of material in the QFE. 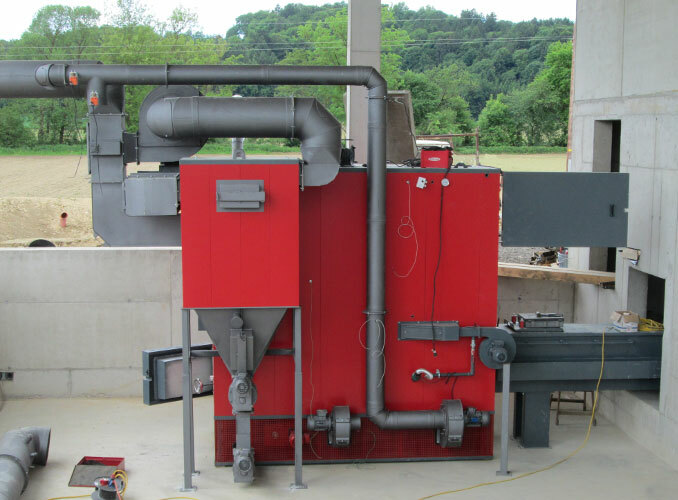 A hydraulically driven pusher with multiple carriers transports the material through a wall opening in the combustion unit. 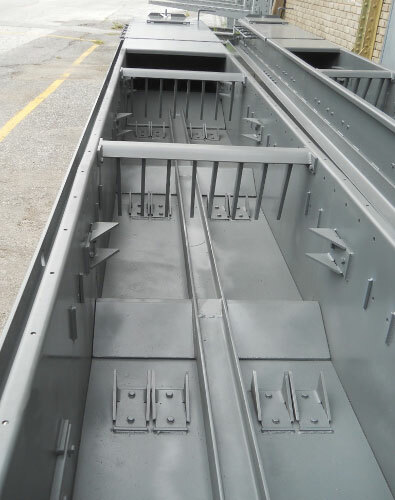 The required anti burnback protection is ensured by the tightly sealed cutting edges, as well as through an automatic fire extinguishing system and a battery backed up hydraulic unit which closes the pusher in case of power loss. The chain conveyors is that part of the system that takes over the fuel of a discharge unit (e.G. Walking Floor) and transports it towards the boiler. 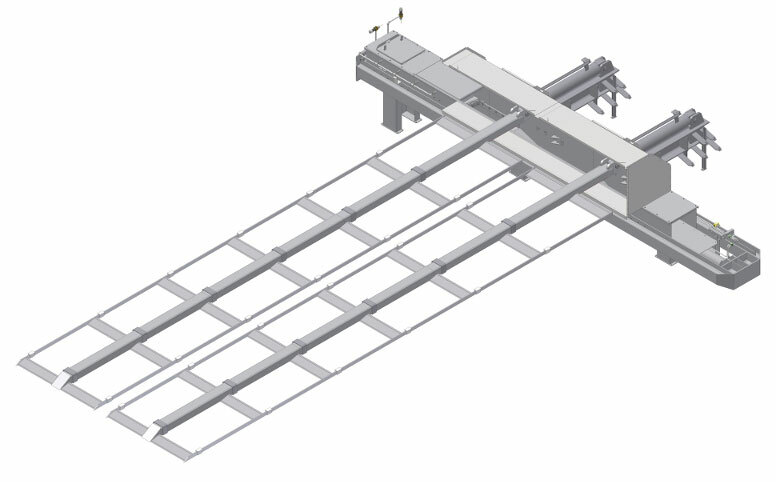 The fuel is transported in a funding channel via the material carrier, which are attached to two conveyor chains. 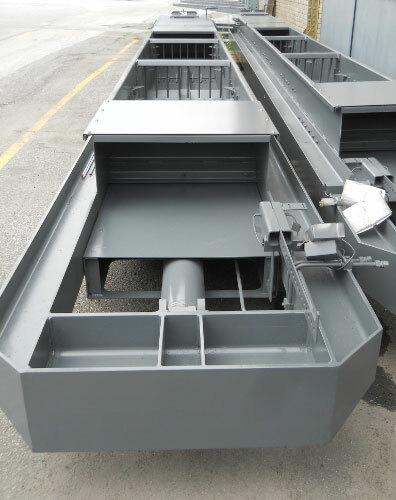 The fuel chain conveyors is longitudinal and vertical conveyor in one and can transport coarse fuels (greater than P63). The Hydraulic Stoker unit is used for the direct input of the fuel in the combustion chamber. The material of a discharge unit (E.g. 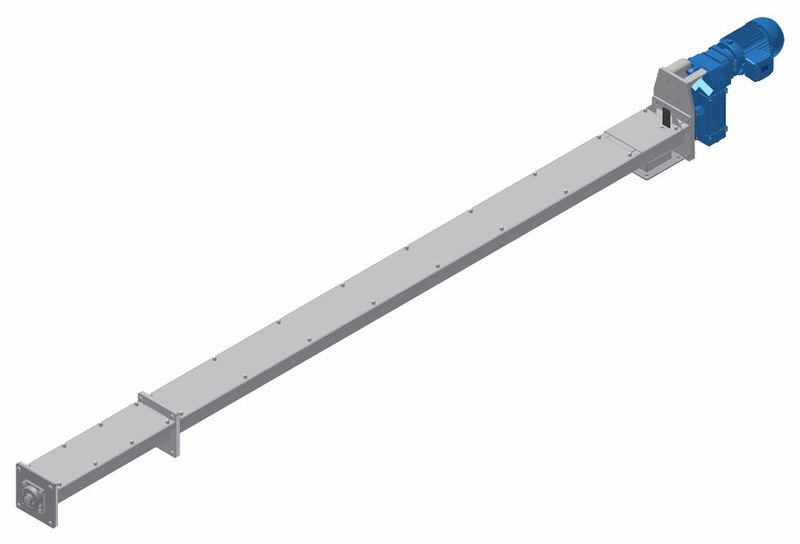 chain conveyor) drops in the HKE through a channel and will be inserted in to the boiler at preset cycle times.